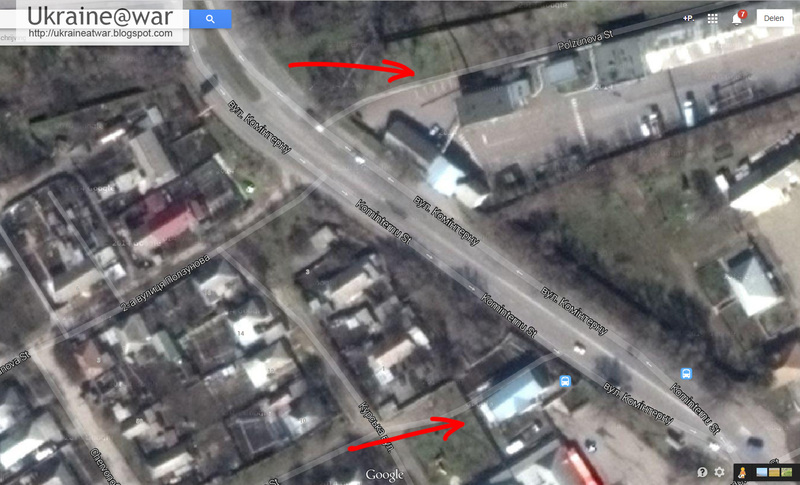 Putin@war: ATO making a lot of progress in Lugansk? It means the cameraman is in the building at the yellow arrow. 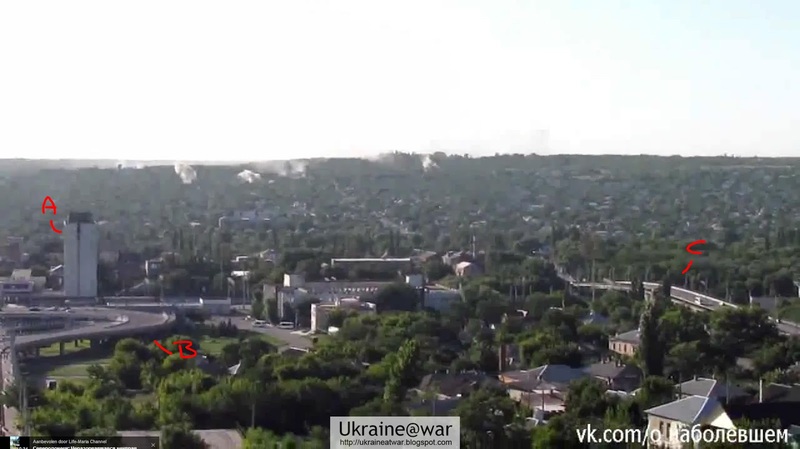 When the Ukrainian army is shelling these positions in Lugansk, it means they made a lot of progress. 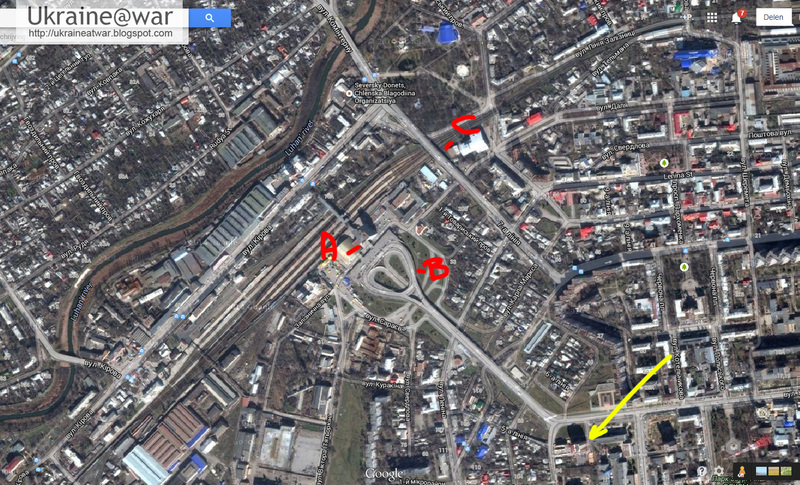 It confirms the reports that Metalist had been taken and it also means that the stronghold around the crossing has been taken (red circle). 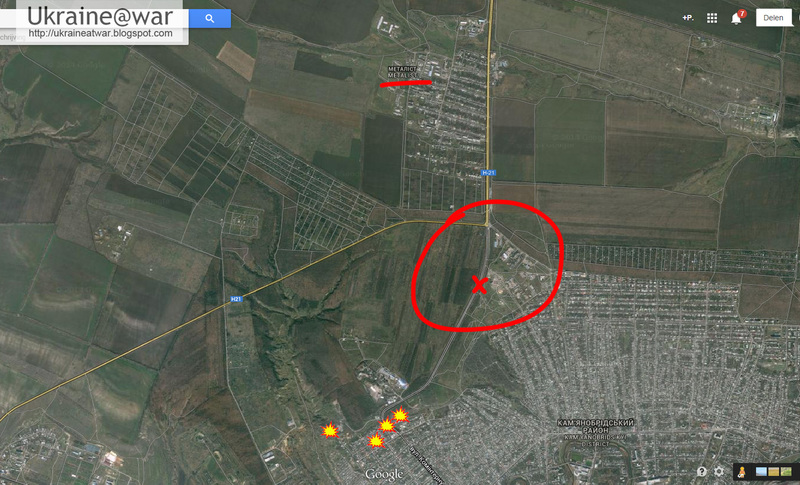 It is also the location where a Russian cameraman had died because he was filming in the middle of some shelling. 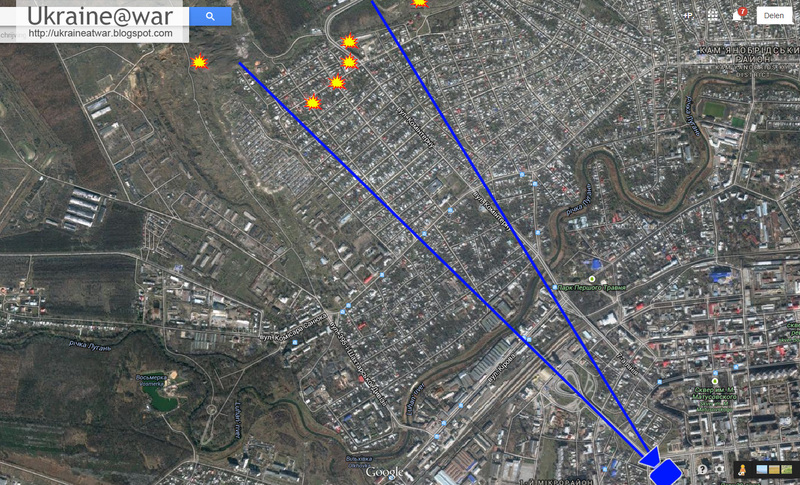 On the other hand I have to make a note: the bombing seems to be quite random, very far spread out and it is in a civilian area. There is a possibility that this is NOT DONE by the Ukrainian army, but by the (pro)Russians for making bad propaganda against Ukraine.